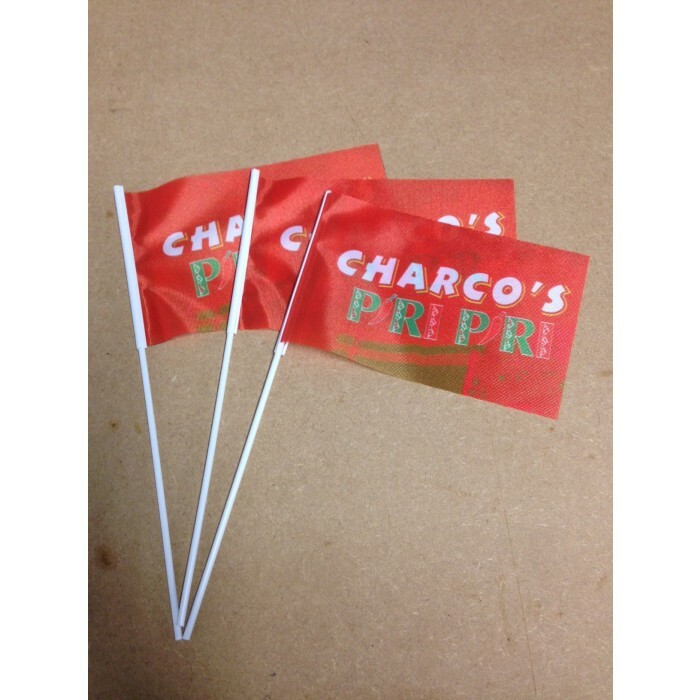 We supply both Paper & Textile handwaving flags packed in units of 50. 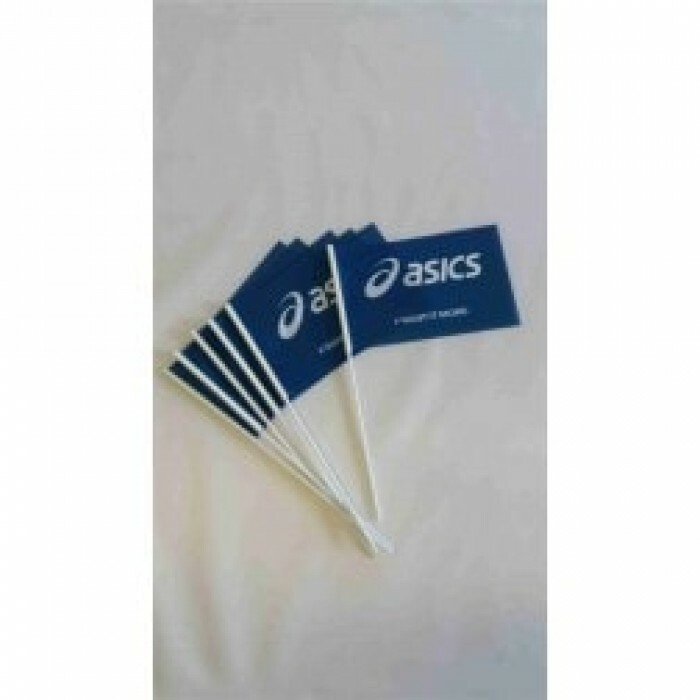 Get your brand noticed with our small event wavers. 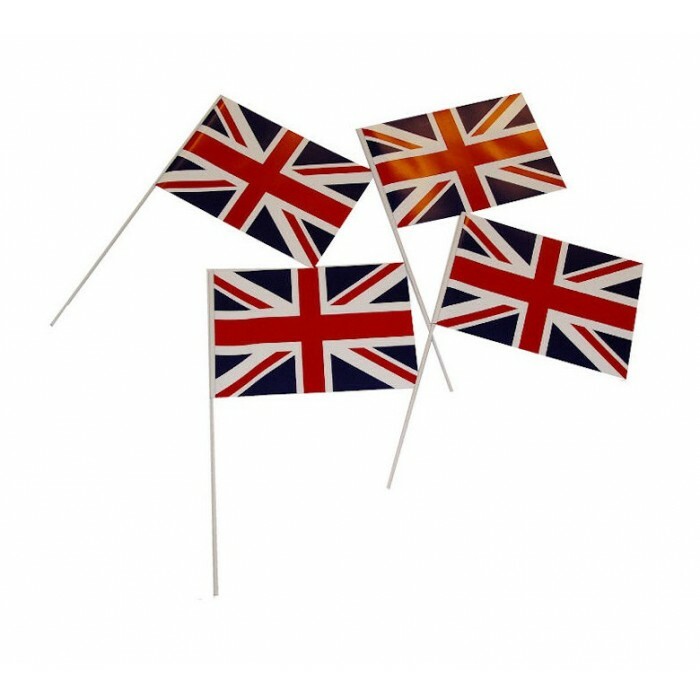 We supply a choice of either Paper & Textile handwaving flags, which are compiled and packed in units of 50 - therefore 1 flag costs only £1! Size 130mm x 210mm. Printed in full colour. Our Paper flags are printed double-sided. Textile flags are single-sided print, although 95% shows through. The paper flags are printed on a FSC certified 170gsm gloss paper. The textile flags are printed on a 117gsm knitted polyester. Fabric & Paper hand waving flags are a quality alternative to the more lightweight polythene flags. Flags are digitally printed on our 117gsm knitted polyester fabric & fastened onto a plastic tube.